At Thompson Center for Dentistry, our skilled dentists offer a full range of restorative dental treatments to improve function of the teeth and gums and give you new reasons to smile! 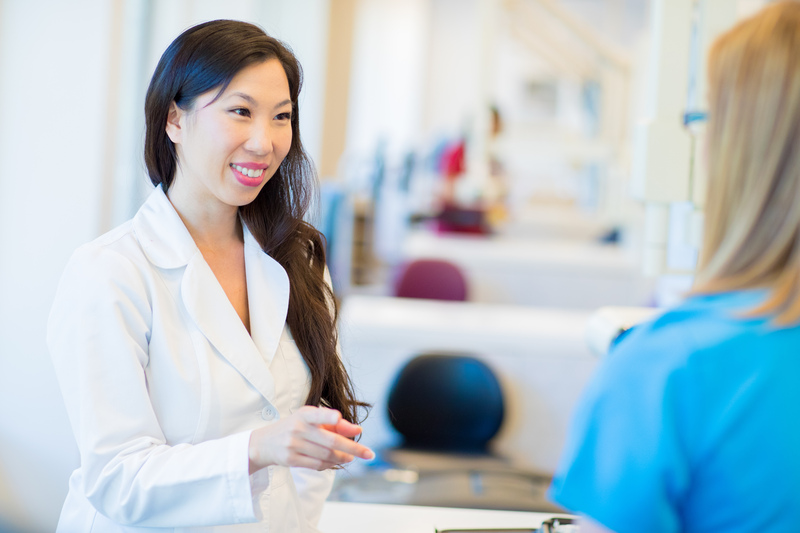 Whether you are looking for solutions to address missing teeth or damaged teeth, Dr. Uyen Thompson and her experienced dental team can help with procedures designed to provide beautiful, natural-looking results. Do you have missing teeth? If so, dental implant procedures offer a permanent tooth replacement option that is designed to mimic the look, feel, and function of natural teeth. 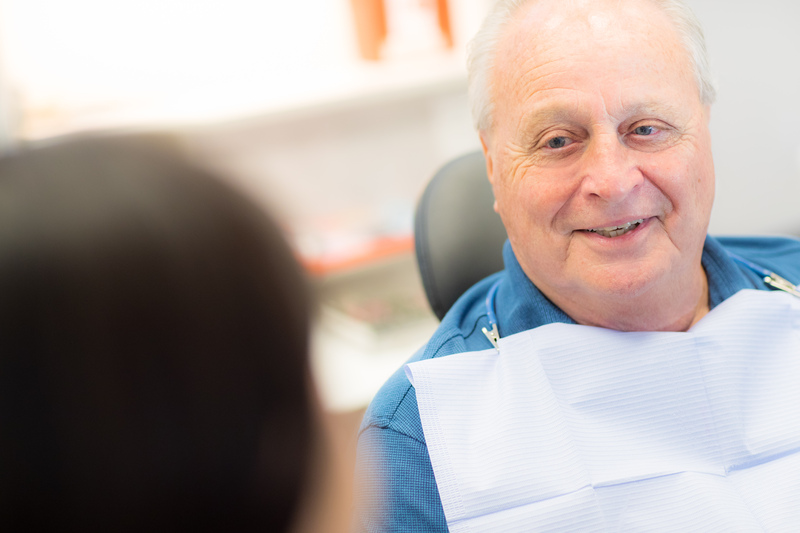 For many patients, the entire dental implant treatment process can be performed right here at our practice. Implant-supported dentures are a way to make dentures more stable and secure along the gums. By strategically placing implants in areas of missing teeth and attaching the denture to the implant, teeth can remain stable, and the results can yield a natural look and feel. 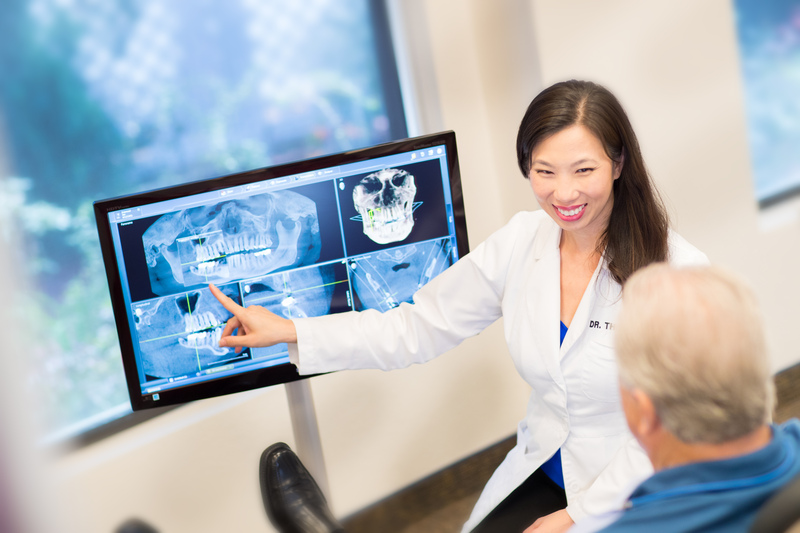 Thompson Center for Dentistry offers a number of implant-supported denture options, including the All-On-4® Teeth in a Day technique. A full mouth rehabilitation is kind of like a Smile Makeover, only this treatment focuses a bit more on correcting functional concerns in addition to cosmetic issues. Full mouth rehabilitation procedures can help patients who have multiple missing or damaged teeth, periodontal disease, stains and discolorations, and many other dental problems. For patients who are not candidates for dental implants and for those who desire other options for missing teeth replacement, complete or partial dentures may be the ideal choice. A complete set of dentures can be performed for patients who are missing all of their teeth. This technique utilizes an oral appliance affixed with natural-looking artificial teeth. It is custom-designed for the best possible fit and appearance. In addition to helping with chewing and speaking, a complete set of dentures can create a fuller profile of the face, which can have an effect on one’s overall appearance. Partial dentures can be an option for patients who are missing multiple teeth in certain areas of the mouth. In most cases, they are designed to fill large spaces between existing teeth. They can also be created to cover an entire section of the mouth. Custom-designed partial dentures are removable, with results that can look and feel very natural. 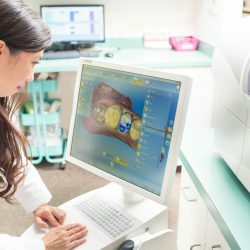 Our practice utilizes the CEREC® in-office milling system to create customized dental crowns and other restorations that can be delivered in the same day. Dental crowns are standard procedures that have been successfully utilized in restorative dentistry for decades. These treatments are designed to provide a customized, natural-looking remedy for teeth that are heavily damaged or decayed. A crown is typically crafted from a strong porcelain material and affixed to the affected tooth with a durable dental resin. The crown covers the entire tooth and works to enhance its strength and appearance. Crowns are often placed on teeth that have had root canal therapy, and they serve as the final touch for dental implant procedures. A dental bridge can be a good option for patients with large gaps caused by missing teeth. Bridges are typically formed by one or more artificial teeth placed between two natural teeth. The original teeth on each side of the artificial teeth will be affixed with dental crowns to reinforce the bridge. Dental bridges have been a tried-and-true procedure for many years, and have helped millions of people correct common aesthetic and functional dental issues. They can also serve as an alternative for individuals who may not be eligible for a dental implant to address their concerns. The standard in many dental practices today is to use completely metal-free fillings to treat cavities. These “tooth-colored” fillings have supplanted the amalgam, metallic-looking fillings of the past, many of which contained small levels of mercury. Tooth-colored fillings are composed of a durable composite resin material that can more easily blend in with the affected tooth’s natural color, making it virtually unnoticeable. Dr. Linsey and assistant Katrina did a wonderful job! I have more cavities than I can count and they kept me comfortable, were very reassuring and established a strong rapport with me as their patient. The staff is always super friendly and supportive and will carry you through every step of the way, with any procedure. They give thorough explanations and encourage questions…the facility is always in excellent condition…you also can watch tv during your procedures and they give you a warm blanket and pillow. It feels like home. This is the best dental facility I have ever encountered! I am grateful to have found them! Please feel free to peruse our restorative dentistry sections to learn more about our options. If you have questions, or if you would like to schedule an appointment with one of our experienced dentists, please contact Thompson Center for Dentistry today.